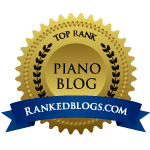 As part of my continuing professional development I belong to an online community of piano teachers. Each month we research a specific topic, attend an online seminar (‘webinar’) and discuss the topic in our online forum. This month the topic was the ‘piano framework’ and – in particular – what skills and concepts need to be in place before entering a Grade 1 examination. I have blogged before about the pros and cons of piano students taking graded music exams (click here). However, what really struck me by researching this topic further is quite how hard Grade 1 actually is!